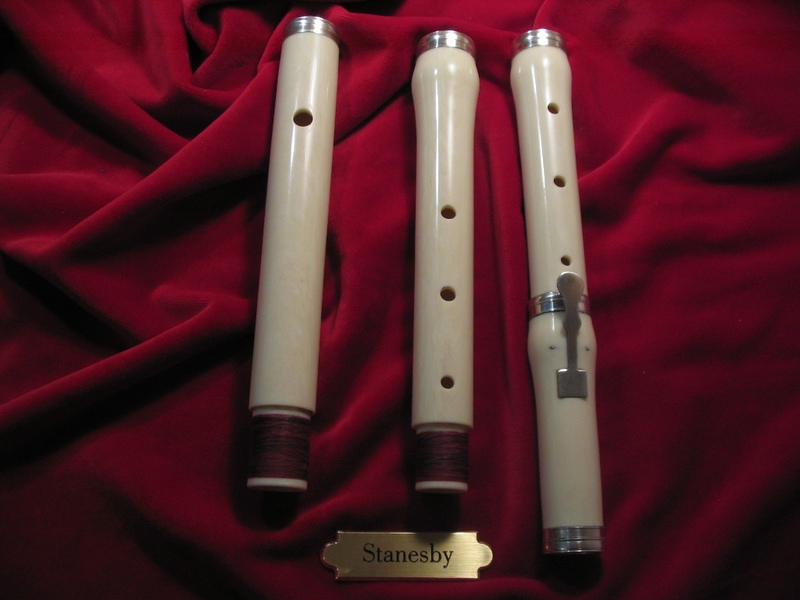 The Stanesby family was a very famous woodwind instrument makers in London. This very refined instrument, original made of Ivory, has the particularity to have the headjoint ending with a tenon instead of a socket, as it is visible into pictures along this page. 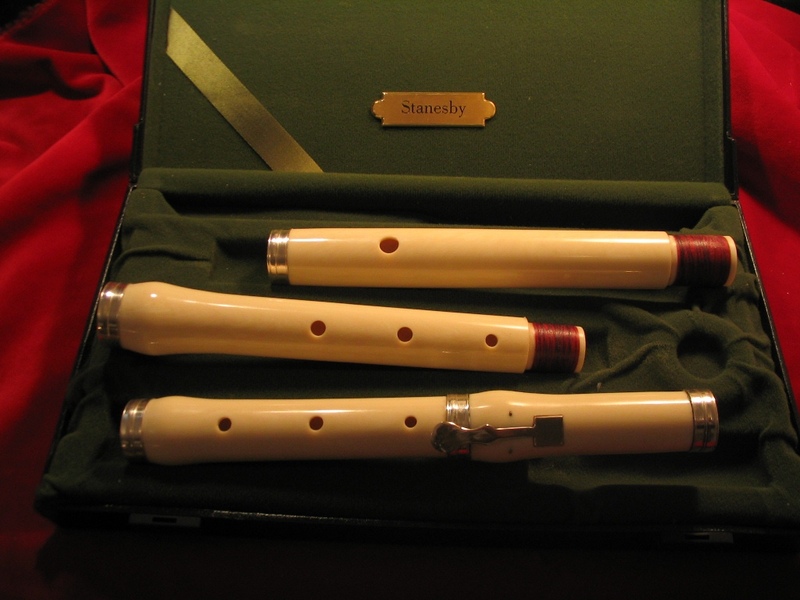 There are many similitudes between some construction techniques belonging to Stanesby and Bressan both for Recorders and Baroque flutes. Also Bressan, for instance, was used to use this particular joint technique between the headjoint and the left hand body. This particular technique was in opposition with the most common one, normally used by almost all constructors of the XVIII century. The instrument is characterized by a very small mouth hole. 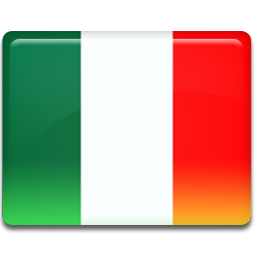 This allows the player to get out a sound not very strong but very, very defined and, due to this small dimension, very flexible and focused. For his reason this instrument is mainly suggested for expert players. 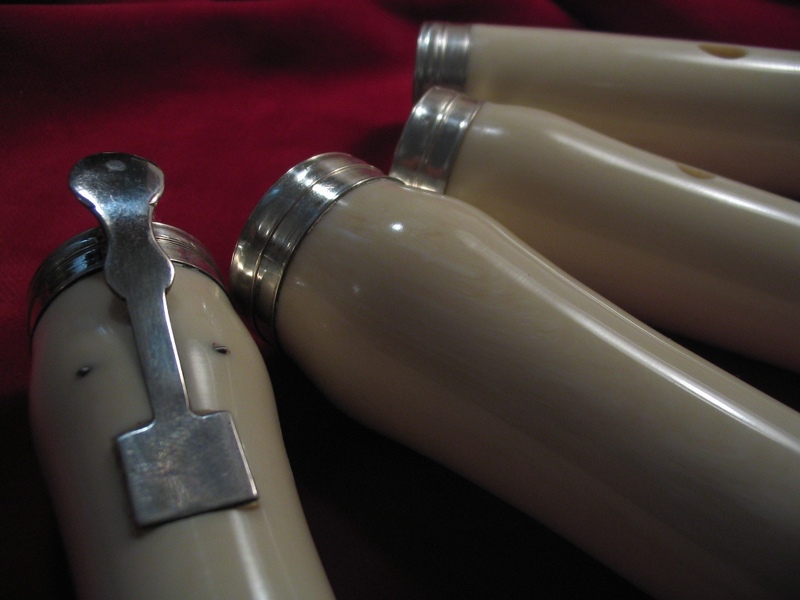 Can only be ordered in the essence of Synthetic Ivory along with solid silver rings. The particular high polishing put on prominence the veins and the deep light of the material giving the beauty and the perfect reproduction of the natural Ivory that cannot be any longer used due to government laws and restrictions.